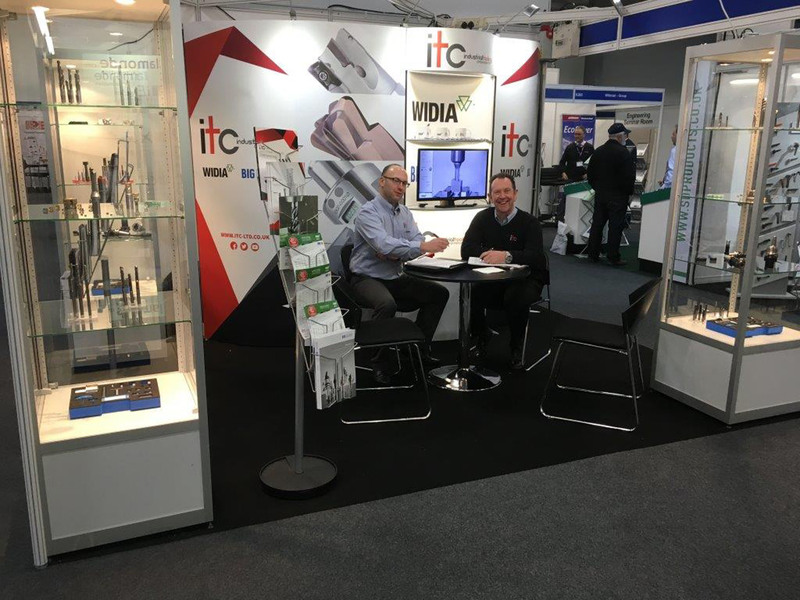 The recent Southern Manufacturing show at the new FIVE Farnborough venue proved a resounding success for Industrial Tooling Corporation (ITC) Ltd as it demonstrated both its expertise and ever expanding product lines for the micro manufacturing sector. For micro and small part machining, ITC exhibited the extensions to many of its existing product lines. With the extremely popular 3081, 2161, 3091 Series being among the extended lines with diameters now available from 1mm in 0.5mm increments, the surge in enquiries was extremely positive. As well as the new ITC product lines and product extensions at Southern Manufacturing, show visitors were genuinely absorbed by the quality of the BIG KAISER range of MEGA Micro Chucks. Complementing the new ITC range of micro-tools, the MEGA Micro Chuck design has a notch-free nut that prevents vibration and noise. This offers superior balance and concentricity, which is critical for high speed machining with small tools. Demonstrations of this technology and the ITC micro end mills certainly put ITC on a pedestal as a leading supplier of micro-tooling solutions at Southern Manufacturing. For manufacturers that didn’t get to see the new innovations at Farnborough, your next opportunity will be the forthcoming MACH show in April. Please come and visit us on stand H20-650.